Read the thread for details and FREE indicators and templates. Last edited by TheRumpledOne on Sun Nov 08, 2009 2:52 pm, edited 1 time in total. If price is NOT making a new high then it must be reversing from the high. If price is NOT making a new low then it must be reversing from the low. This is a simple method that, when applied properly ( and don't load up the charts with SQUIGGLY'S ), will enable you to NEVER LOSE AGAIN! 1) Only trade if there is a 1, 2 or 3 semafor on the current or previous H1, H4 or D1 candle. NO EXCEPTIONS. 2) After you see the semafor on the chart, look at the chart for the long(indigo) and short(magenta) triggers based on TRO RAT ZONE indicator. 3) When price touches the trigger you enter. DON'T THINK, JUST ACT! 5) If price went against you and makes a new daily high or daily low, get ready to enter at the trigger. If you can't see how this works, then DO NOT TRADE IT. 6) What's the TAKE PROFIT? You take what you can. DRAIN THE BANKS REV 9 exploits the fact that the size of the daily wicks is usually greater than 20 pips based on the frequency distribution of wick sizes. You can see the frequency distribution in the above chart shows, for the last 100 days, wick length of 20 pips or more occurred over 66% of the time. The best trading opportunity is right after a new high or low has been made. That is when you should begin trading rat reversals. Price does NOT have to be in the "rat zone" to enter a trade. Try these methods using a micro lot or 0.1 mini lot. Trade it this way until you feel comfortable and are profitable on a consistent basis. Just trade it, AS IS, and don't add anything to it to improve it. You'll be amazed at how profitable a simple method can be. Many traders will say this "is not a system" because there is no set take profit. They also say to "cut losses quick and let profits run" which is in direct contradiction of having a set take profit. No wonder 95% of traders lose - they follow traditional trading education! I can only ship to USA addresses. 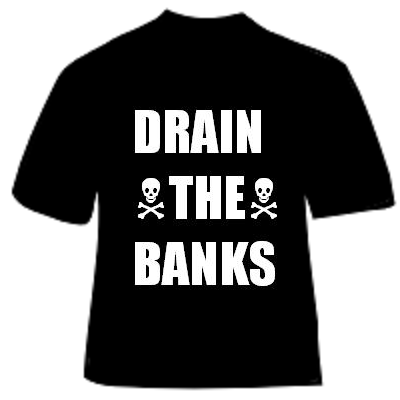 FREE MT4 version DRAIN THE BANKS REV 9, including SOURCE CODE and TEMPLATE, attached. PLEASE DO NOT POST MY CODE ON OTHER FORUMS. Last edited by TheRumpledOne on Thu Nov 05, 2009 6:05 pm, edited 3 times in total. You forgot the template file into the zip. So this is a DTB but that only is traded after price made a new daily high or low. and the trigger was changed to 20 pips from the gigh or low. If you are a GREEN RAT then you WAIT until price makes a new daily low or comes within 20 pips of the daily low BEFORE you start trading. You are looking to trade the REVERSAL off the daily low. If you are a RED RAT then you WAIT until price makes a new daily high or comes within 20 pips of the daily high BEFORE you start trading. You are looking to trade the REVERSAL off the daily high. If you are a YALE STUDENT, it doesn't matter. The trigger is either the "20 pip line" and/or the rat reversal. okay.,. thans TRO thats all i wanted to know. The trigger is which ever gets triggered first. The chance that the upper wick (daily high - candle top) will be more than 20 pips in length is what I look to exploit for profit. Based on frequency distribution, this occurs over 66% of the time. Last edited by TheRumpledOne on Thu Nov 05, 2009 2:38 pm, edited 1 time in total. JESGPY wrote: okay.,. thans TRO thats all i wanted to know. NO. That is NOT what I said. Some traders may want to trade the rat reversal trigger of red/green/long at the high. Some other traders may want to enter in the rat zone or at the 20 pip line and see how far price runs on a "swing trade". Am I confused or should that be enter short at the red candle's low price?